Calci, in the province of Pisa, is set along the Zambra river, in equidistant position between Lucca and Pisa. The place name probably derives from the Latin words "calx" and "calcis" referring to the abundance of stone caves near it. The first Roman built-up area was called "Locus Calcis" and rose just to start the exploitation of its precious mineral resources. The valley at the centre of which the village developed was soon scattered with parishes, convents and casolari. 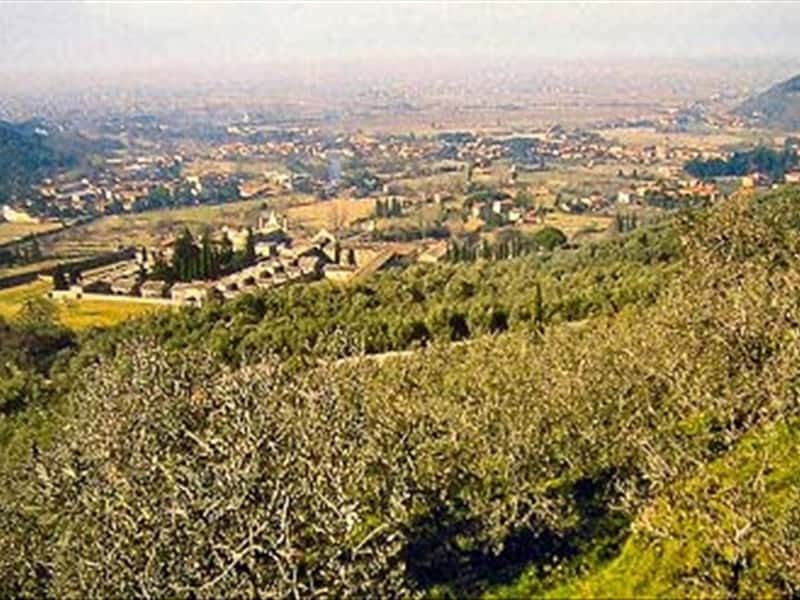 Because of its charming olive yards and chestnut woods, it got the name of Valle Graziosa. Calci was a municipal institution with six consuls and it has always been loyal to the Pisan Republic. It was involved in the defeat of Pisa in the XVI century and it was later annexed to the Tuscan Grand Duchy dominated by the Florentines. The beautiful Parish Church of San Giovanni and Ermolao, in Pisan Romanesque style, was refurbished during the XVII century, following the project realised by Cosimo Pugliani. Inside it is possible to admire valuable works of art by Aurelio Lomi and Cecco di Pietro and the fragment of a XIII century painted wooden crucifix. Located at the centre of the Graziosa valley, the Charterhouse of Calci iso ne of the biggest monastic complex in Tuscany. Today it hosts the natural History and Territory Museum. It was founded in May 1366 by the Archbishop of Pisa Francesco moricotti. Its current appearance, yet, is due to the works carried out between 1764 and 1797 above all and they were carried by the prior Alfonso Maria Maggi, thanks to whom many painters were called to decorate old and new rooms with their frescoes. This town web page has been visited 20,933 times.